Niagara’s Ice Balls (Travel Theme: Subtle) | Coffee fuels my photography! This week’s word from the Travel Theme Challenge by Where’s my Backpack is SUBTLE and what did I think of… Niagara Falls! Doesn’t everyone think of a raging waterfall when thinking of subtle? No? On arriving at Niagara Falls, once our sense of wonderment from the sheer size and thunderous sound had subsided, but only just, we began to appreciate the forms the frozen mist had created around us. With water still cascading down the falls, one could see the mist at the actual falls themselves as it rose high into the air but what we failed to appreciate was the SUBTLE mist in the air which created these wonderfully unique sculptures. 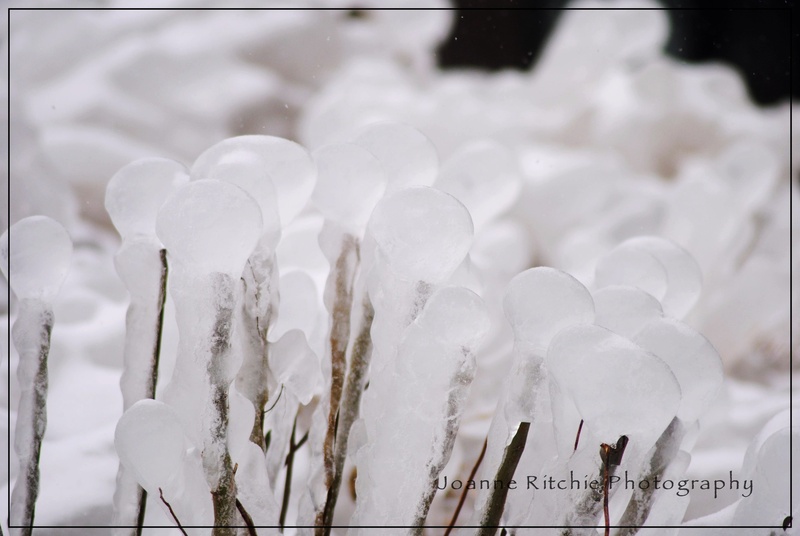 These ice balls which had simply formed on top of the pruned branches of nearby bushes, particularly piqued our interest!